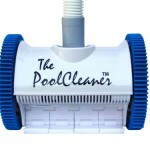 Pool vacuum cleaners are a great addition to any pool as they help keep the pool clean in between service intervals. 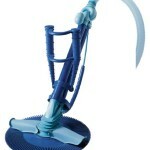 There are many types of cleaners and they vary greatly in cost. Here we shall be reviewing the 3 most common ones used in the Las vegas area. 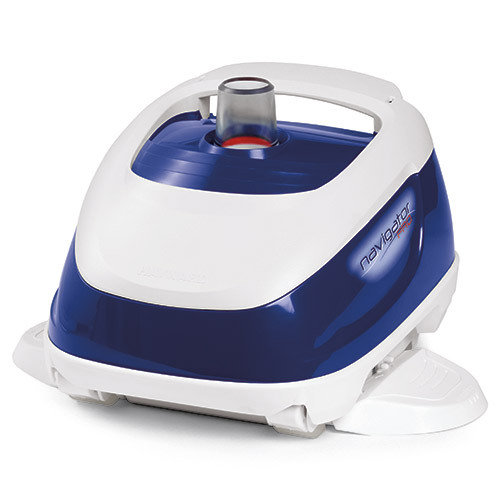 This vacuum is the most common vacuum out there and does a good job in all different shapes and sizes of pools. It is a suction side cleaner. 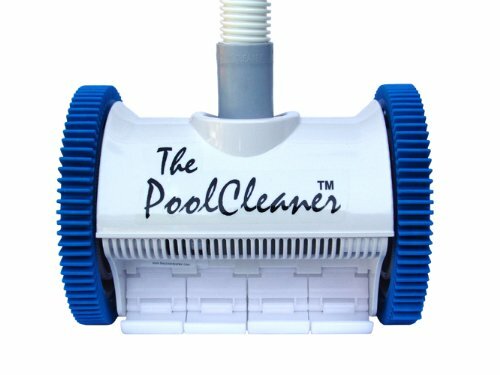 The down side to this type of cleaner is that it has a lot of parts within it that move and are prone to needing replacement parts at least once a year due to the number of miles it covers on the pool floor over time. The Hayward Navigator does work well and can be fully rebuilt if needed. It doesn’t clean steps (nor do any of the others listed here) or other raised areas, but it does climb walls. 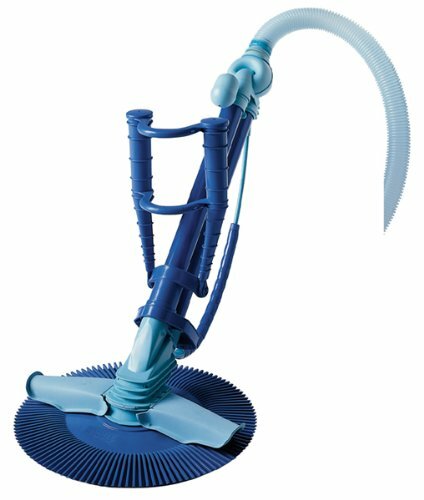 The is a two wheeled suction side cleaner that is affordable and doesn’t require many replacement parts as there are not as many moving parts compared to the Hayward navigator. It doesn’t climb the walls as well as the Navigator though. Bonus: It’s made in the USA. Affordable and durable but it can be noisy as it has a pulsating sound to it. Minimal parts within it that need to be replaced so is less costly to maintain. Climbs the walls well but doesn’t tend to do well with corners or steps (that’s common with most cleaners). Tends not do too well with larger leafs or longer leafs like palms frond leaves, but all-in-all a good cleaner. Adding any of these cleaners to to your pool will help greatly with keeping it clean and clear of tree debris. Using a leaf canister with them helps also to prevent the pump baskets and pipes getting clogged up with items they vacuum up. If you have any questions on these cleaners be sure to contact PoolStar the Henderson and Las vegas swimming pool service company. ← Swimming pool maintenance for beginners.